MTK-F37 is our latest Mini SIM Card dispenser with PC/SC compatible IC read/write modules. The machine works on 2FF SIM and is upward compatible with 3FF micro or 4FF nano SIM cards. 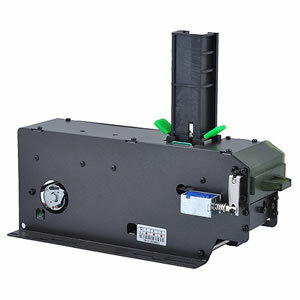 The dispenser is designed for initialization and vending purpose of mobile companies. MTK-F37 dispenser is designed with good consideration of SIM Card particularities. Belt transmission and push dispensing mechanism ensures stability and accuracy of production and operation. Also, replaceable card hopper design allows card preloading. Easy-to-use PC/SC IC Card reader/writer is embedded for SIM/CPU Cards decoding/encoding. MTK-F37 is the motor card dispenser for Mini SIM card with integrated PC/SC IC Card reader&writer. It’s also optional to dispense micro or nano SIM card with MINI-SIM Card Base. For full size SIM(1FF) dispensing, please consider our MTK-F31 or MTK-571 models.